Thanks to the generous Bedroom Producers Blog, who are kindly hosting my downloads, I can release a few more plugins without worrying about dropbox limits, so here’s a fresh batch…. 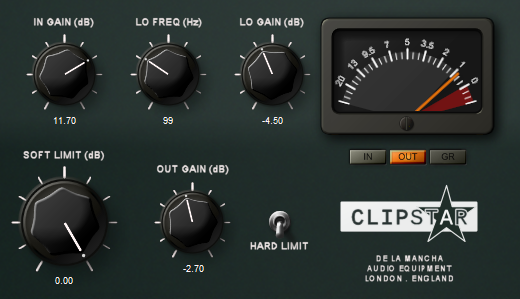 Today’s freeware fun brings you two muscle-car compressors, a character EQ and an innovative clipper. 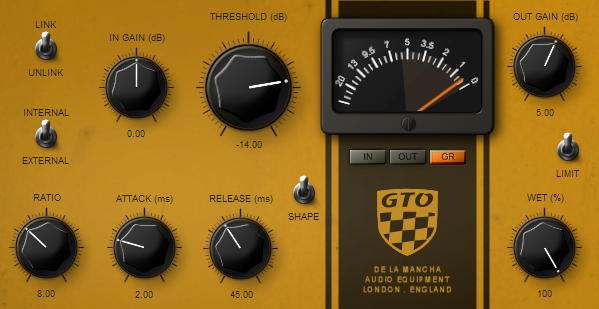 GTO and GTX are a pair of vintage style ‘character’ compressors, designed like their muscle car name-sakes for brute power, pure speed and to make a loud noise. They have everything you’d expect in a thorough-bred compressor, but are tuned for maximum control and ease of use, each with their own unique vintage colouring on top. 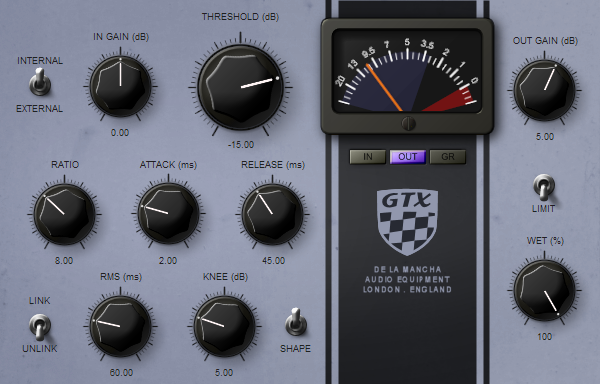 GTO is a peak compressor, designed for raw power and lightning response. GTX has a smoother RMS delivery with further refinement in the shape of a knee control. They both feature super-fast attack and release times and have a wide range of threshold, ratio and output boost, so they can cover everything from subtle correction to death-by-compression, with everything in between. With an external sidechain, wet/dry mix for NY compression and a hard limiter too, you can really push these babies to get pumping bass and block-rockin’ beats. The metering covers input, output and gain reduction, showing real-time and peak levels. 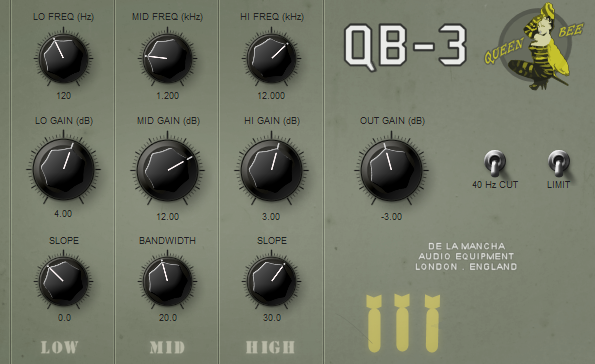 QB3 is a vintage-style, 3-band EQ plug-in, with its own unique colouring and a few tricks up its sleeve. For each band you can adjust the centre frequency and gain. For the low and high shelving bands you can adjust the steepness of the slope, whilst for the mid peaking band you can adjust the bandwidth. This allows a range of sounds from steep, sharp cuts to smooth and gentle boosts. But the Queen Bee is not a super clean and transparent plug-in. QB-3 features a pleasing combination of harmonics, saturation and low level noise to bring a subtle mojo to your sound. You also have the option to switch on a 40Hz cut to boost your low frequency headroom and a limiter to curb any peaks. ClipStar is a soft clipper effect plugin, designed to prevent peaks in a subtler way than hard clipping, increase loudness and add pleasing saturation. Where ClipStar differs from other clippers is that it can leave the low frequencies untouched, where distortion is more evident, and allow a greater boost in gain without noticeably degrading the signal. You can use ClipStar for peak protection, for loudness gain or for sympathetic distortion depending on your mood and the phase of the moon. All of these plugins used to be payware, but are now free to download. However, if you like and use any of my plugins, please consider donating to Cancer Research UK in order to help care for and find a cure for cancer sufferers. Big thanks to Bedroom Producers Blog for hosting all of these downloads. Check ’em out!